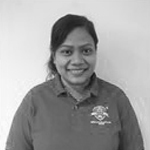 My name is Marissa and I am an international student currently pursuing my Diploma of Nursing at IHNA, Parramatta. Recently I had some obstacles related to my visa extension. Before starting with IHNA, I was granted a visa by the immigration to complete my accounting study which supposed to graduate by April 2018. Within the 3 months of my accounting studies, I have been introduced to the career growth within the nursing field. I approached IHNA Parramatta and was accepted with a smooth transition. My Nursing studies will be ending by Jan 2019 and my visa will be expiring in June 2018. Having said that, I need a new visa as per immigration’s advice for course completion. Without further delay, I apply for the new visa through IMMI account and unfortunately I received a warning message after submission of my CoE. I panicked and was stressful, then immediately approached IHNA and the person responsible (Loretta) to seek for a guidance in completing my visa extension. Loretta was so helpful in explaining the procedures, with the help of Admin (William, Sheryl) printed related supporting documents and also referred me directly to IHNA compliance officer (PAOLA) corresponding to this situation. IHNA compliance officer walk me through the whole process, contacted and liaised with immigration officer in resolving my COE related matter. Finally, we received an email from Immigration department to confirm my COE is in place to proceed for visa submission. I applied the new visa again through IMMI account on the 1st week of Feb 2018 and was granted with new visa which facilitates completion of my Diploma of Nursing. The whole experience in applying for new visa was so stressful and however with the great help of IHNA and the person responsible which made the transition smooth and worthwhile.